Since the financial crisis of 2008 and the beginning of the continuing economic recession, the space in the mainstream media for alternative economic ideas to prevailing neoliberalism has expanded. This has meant that the media opportunities for Marxian economists have increased. One of those to have benefitted is Richard Wolff who has achieved something of a celebrity status in the United States in the past five years with regular radio and television appearances. For many years Wolff worked with fellow academic economist Stephen Resnick with whom much of his written work is co-authored. Wolff has several online classes on the internet on Marxian economics and the roots of the current crisis of capitalist production. Stephen Resnick, in general far less in the public eye, also has a university course on Marxian economics freely available on the internet. In a world where the name of Karl Marx is generally media-unfriendly, Wolff in particular has achieved public notice through his media-friendly personality and style. However, as with much that has passed itself of as Marxian in the past, the ideas that Wolff and Resnick are promoting reflect their own agenda with regard to the ideas of Marx. In 1987 Resnick and Wolff published a book titled Economics: Marxian versus Neoclassical and recently they expanded and updated the theme with the publication of Contending Economic Theories: Neoclassical, Keynesian and Marxian (2012). On the face of it a book which compares Marxian economics favourably with neo-liberal and Keynesian economics appears as if it should be given a warm welcome by socialists. But all is not quite as it seems. The parts of the book dealing with neo-liberal and Keynesian economics are sound summaries of those theories. But by far the longest section, that dealing with Marxian economic theory, presents not a summary of Marxian economics but of the theories of Stephen Resnick and Richard Wolff. Whilst at first glance their work may appear to be an idiosyncratic presentation of Marxian economics, the further you read the more it becomes apparent that what is being offered is actually a re-writing of some its basic premises. Working for many years at the University of Massachusetts, Amherst, their work has been labelled ‘Amherst Marxism’. One of their other books is called New Departures in Marxian Theory (2006) and their work as a whole should really been seen in this light. Not so much building critically on Marxian theory (which is how they would like to see themselves) but departing from it. Resnick and Wolff rightly call the body of thought associated with Marx’s ideas Marxian rather than Marxism. This is because it is not a body of truth – an ism – laid down by a socialist prophet but a body of critical thought to which many have contributed both during and after Marx’s lifetime. The revolutionary socialist movement in which Karl Marx’s thought was developed both shaped and built on his ideas. Marxian thought has classically been understood as having introduced three important intellectual tools for the understanding of the world: Marxian economics (the labour theory of value as the basis for understanding the exploitation of the working class in capitalism), historical materialism (economic development and class struggle as the basis for understanding broad social change) and dialectical materialism (philosophical materialism combined with dialectics as the basis for understanding where ideas about the world come from and how they change). Resnick and Wolff, however, remove two of these pillars, dismissing the historical and materialist perspectives of classical Marxian thought as determinist and undialectical. Their focus is on Marxian economics within a philosophical method that they term ‘overdetermination’. Overdetermination is a concept originally developed by Sigmund Freud in relation to psychoanalysis but was adapted by the French philosopher Louis Althusser in the 1960s and 1970s in his writing on the work of Karl Marx. Althusser was a member of the French Communist Party and wrote books such as For Marx (English translation, 1969), Reading Capital (1970) and Lenin and Philosophy (1971). Despite being difficult to read with often impenetrable text, these books influenced a generation of university students of Marx. In short, Althusser rejected the classical Marxian view of social change as rooted in contradiction between the forces of production (technology, the development of the means of production) and the relations of production (who owns and controls the means of the production). Instead, Althusser posited a more complex view of a society being a totality of multiple contradictions and non-contradictions in which change occurs as ruptures in the social structure when the contradictory aspects of a given society overcome its non-contradictory aspects. The emphasis was on the importance of theory and ideology to the stability or otherwise of the social structure and this led to E.P. Thomspson’s valid criticism (in his The Poverty of Theory, 1978) of Althusser’s work as a form of idealism. Althusser, however, still saw the economic structure of society as having a dominant causative relation with other aspects of society. Resnick and Wolff are admirers of Althusser’s work but they develop overdetermination beyond his ideas by dismissing the causative dominance of economic life and philosophical materialism. Rather, they want their readers to see different areas of life as both the cause and effect of each other, a dialectical understanding of the world with the materialism of Marx removed. They opt for a dialectical philosophy disembodied from either materialism or idealism. The idea of cause and effect is rejected as irredeemably determinist. For example, class would be seen as both formed by and forming the sum total of all other aspects of social life and the environment. These myriad aspects of life exist either in contradiction or support of each other but no one aspect could be described as the cause of another. It is argued that events and individuals are the sites of infinite determinants which cannot be separated (either as ideas or material factors) as causes or effects. The classical Marxian approach is rejected because they see it as necessarily determinist because of its materialism which roots the understanding of society (the effect) in its economic structure (the cause). E.P. Thompson’s criticism of Althusser as an idealist is even more applicable to the dialectics offered by Resnick and Wolff. The importance of theory suffuses their work. Their latest work is called Contending Economic Theories precisely because they wish to lay clear theoretical choices before their readers. Their purpose is to lay before them a Marxian economic theory that will change their perception of that social experience and thereby change it because they argue that “What we see is shaped in part by how we think just as how we think is shaped in part by what we see.”(Contending Economic Theories, p.43) In the concept of overdetermination, theory plays a fundamental part in shaping the world. It is not just a case of different perspectives, of seeing the same world but from a different position. According to Resnick and Wolff’s argument, when people hold to different theories, literally “the world each sees is not the same.”(p.43) They refer to class as their (and Marx’s) ‘entry point’ into the infinite number of determinants made up of the material world (our experiences) and thought (our ideas) which are in a constant and relative dialectical relationship. By contrast, the classical Marxian approach argues that social and political thought develops in relation to social and economic reality. It is not determinist as Wolff and Resnick insist. Rather, it merely argues that, ultimately, the material world provides the limits of our perception. Our thoughts must always relate to the real world, to the necessity for food and shelter and social production and to current social and economic relationships and the struggles associated with them. Although thought obviously feeds back into how we perceive the world and therefore act, thought itself does not exist independently of material reality. Marxian socialists classically accept the importance of ideas in creating social change but reject the notion that ideas can come from without of experience, as a vision, and transcend it to establish a new social reality. It is the context of material social and economic struggle that provides the dynamic for ideas of to how to change that reality. Our material world does not reflect our ideas but, rather, our ideas emerge from our experience of the material world. These ideas feed back into our experience by engaging with it and trying to re-shape it through social and political struggle. Although historical materialism can be interpreted crudely, rigidly and deterministically, the works of Marx and Engels and many Marxian theorists since suggest a different understanding. The classical Marxian approach is not a determinist one but describes the reciprocal relationship between individual action and social and economic structure. Limits are placed on the possibilities of the actions of individuals by their social and economic context. Social change relates to the development of the forces of production and the relations of production but is not pre-determined but contingent on conscious political action, the social or class awareness of real human beings. Resnick and Wolff offer a literally infinitely more complex model in which everything is shaped by everything else. They reject historical materialism because they tend to associate classical Marxian theory with the vulgar, mechanical Marxism which emanated as apologetics from the former USSR and other state capitalist regimes. However, by doing so they throw the baby out with the bathwater, rejecting the historical and materialist dimensions of Marxian thought. That said, their practice does not always reflect their ideas as they do often tend to analyse society, culture and politics as reflecting underlying economic and class factors. In fact, when they let their dialectical guard down their work can be insightful and is the reason why some of their work can still usefully be read by socialists. 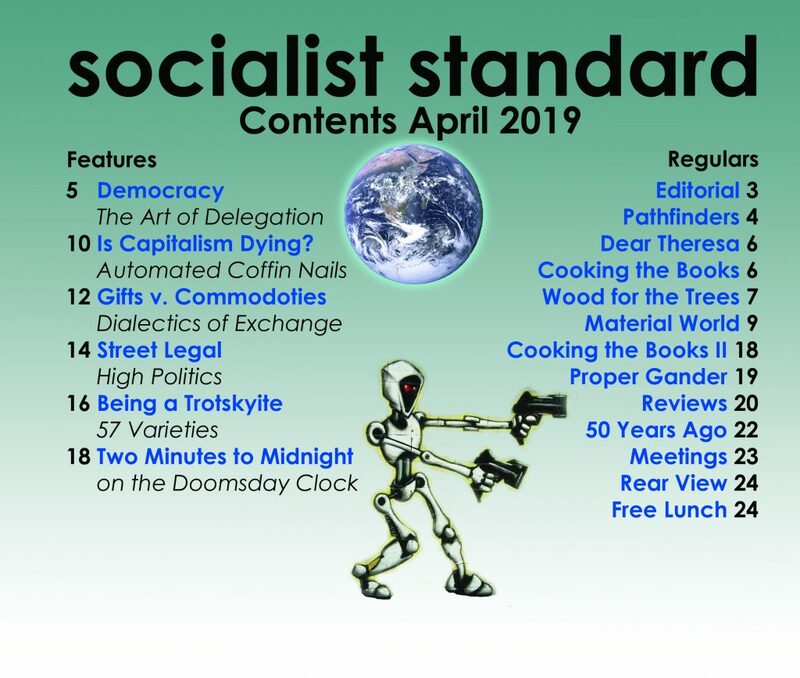 The Socialist Party is a party in the classical Marxian tradition (see our declaration of principles) and so find much to disagree with in the overdeterminist methodology of Wolff and Resnick. The aim of our party is to foster class awareness because we contend that the productive forces of humanity have outstripped the capacity of the current relations of production (their control by a tiny minority of capitalists) to deliver that productive capacity for the benefit of the vast majority of people who do not own the means of production (the working class). Wolff and Resnick do share with the Socialist Party an emphasis on the labour theory of value as an important theoretical tool for understanding the exploitation of the working class in capitalism. But, as with their approach to dialectics, what they promote is a distinct theoretical model of their own, ‘surplus theory’, rather than that of Marx. Their theoretical departure from classical Marxian theory is also reflected in their definition of communism and how to achieve it. Overdeterminism seems to be an attempt to place Marxian economics on postmodern terms, to place its analytical claims on an equal but relative footing with other theoretical concepts – it is not true but just a truth claim. If it is one claim among others, what is the basis for its acceptance or otherwise? Overdetermination challenges the absolutist position of non-Marxian economists. Their implicit epistemological claim is that only a non-Marxian way of looking at the world reflects or captures the truth of the economy. To counter that argument and its implication, a notion of overdetermination offers I think a powerful weapon. It rejects absolute truth claims. Instead, it casts non-Marxian economics as posing merely a different relative truth-claim than that offered by Marxism. Hence, it demotes the grand idea of non-Marxian thinkers that their theories alone have captured or revealed the truth of the economy. Rather, what we all face are different and competing economic theories each of which carries its implications for our lives. There is an assertion that our experiences as human being are all the same; we all see the same objects. Consequently, we can test our different thoughts – in this case, Marxian and non-Marxian theories – against independent and neutral experiences to see which of them is correct (and which one is not). This way is often called empiricism. A different way of proceeding is to assert that there is some basic logic or set of ideas that we can figure out that will enable us as human beings to figure out or capture what is really going on in society. This way is often referred to as rationalism. Notice that these are two different and contending ways of validating knowledge: two different epistemologies that have been struggling with one another for about as long as philosophers have been asking these kinds of knowledge questions. The concept of overdetermination argues that there are no independent standards as claimed otherwise by rationalist and empiricist approaches: our thoughts complexly constitute – literally help to create – our experiences and, in turn, our experiences help to constitute our thoughts. Each is both a cause and effect of the other. This means that neither experience nor thoughts can be used as an unbiased measure to validate truth-claims. 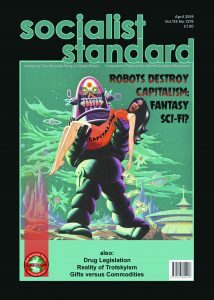 All such standards are socially contrived which in the case of Marxism includes the idea that class exploitation is a partial cause. Marxism gains the proper cultural space and freedom to make and disseminate its arguments – its truth–claim – in regard to the societal presence of class exploitation – as neither inferior nor superior to the others but rather as a different claim that contends with the others. Engels claimed that Marx had discovered “that mankind must first of all eat, drink, have shelter and clothing, before it can pursue politics, science, art, religion, etc.” Overdeterminism rejects this as determinist and undialectical. What is the significance of this claim for historical materialists today? I think that mode of production reasoning is trapped in and by economic determinism. The latter means that either the production relations or forces or a combination of both are conceived to be the last instant cause of what occurs in society. In other words, the mode of production presents itself as an essential or governing cause of what occurs in society. The resulting problem becomes the causal demotion of other economic forces as well as a society’s culture, politics, and physical nature. The latter’s effects impact the mode but that impact is itself determined by the governing mode. This determinist problem is recognized early on by Engels and many others thereafter within the Marxian tradition. Overdeterminism is merely a more modern term for the dialectic. The latter enables us to think about how anything is caused. The mode of production (or anything else for that matter in society) is both constituting and constituted. Hence from this perspective it cannot be conceived an ultimate cause. No process in society –whether production relations, forces, mode or anything else – can occur alone. The dialectic offers a fully relational way of thinking about causal existence or connectedness. Each and every process is both cause and effect. Marx claimed that the point of philosophy was not just to interpret the world but to change it. What does the concept of overdetermination have to say about working class political struggle and the route to socialism/communism? Being (or materialism) is the site of an infinite set of different and mutually co-determining processes whose combined determinations create life and propel it in contradictory directions. Their determinations come together to literally create the way we think about the world we live in. Hence our thinking has no prior existence to these determinations but rather is the combined result of them all. The same kind of logic argues that each of the determining processes is also determined by the effects emanating from thinking and from the other processes as well. To think in a particular way, say a Marxist way, is to change materiality in two ways: 1.it changes one of its constituting aspects – that of thinking (class is thought to be an aspect of materiality) and 2. It changes all the other (economic, political, cultural, and natural) processes as well (for thinking is a partial cause of them). Material life thus changes in these two ways and those changes feedback to alter thinking (which then changes material life yet again in an endless dialectical process). Understood in this way, a change in thinking always changes the world. A move to a Marxian way of thinking changes the world in its particular way. The hope is that Marxian theory not only persuades workers that their unpaid surplus labor is the source of gross profits in industry, but also moves them to alter society in a particular way, namely to eliminate this class exploitation from their lives.